Is Britain plunging towards a water crisis? Water is something most of us in the western world take for granted. 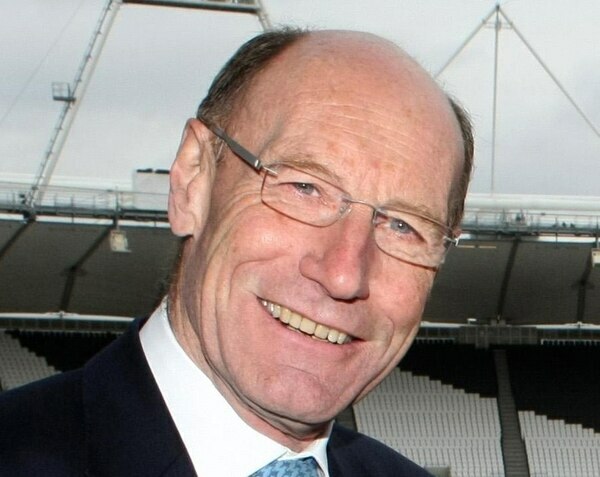 Sir John Armitt says we do so at our peril. 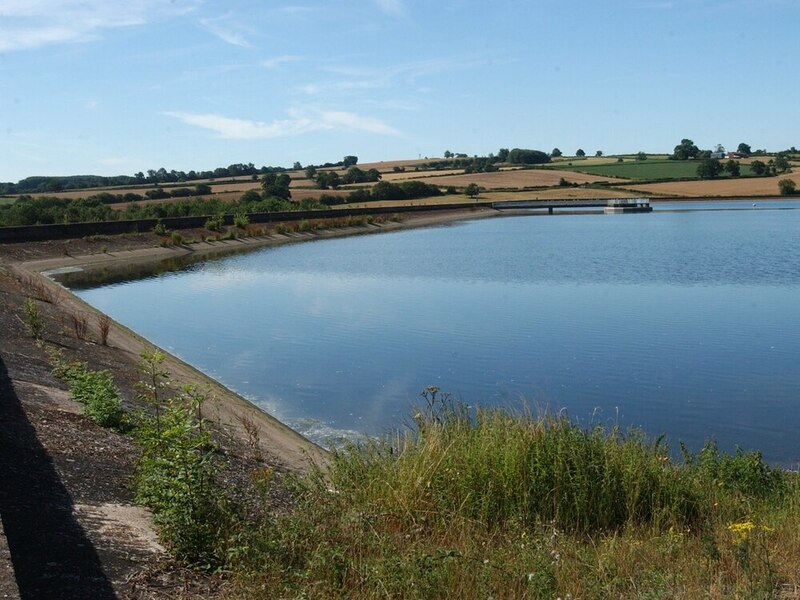 Chelmarsh reservoir, run by South Staffordshire Water, near Bridgnorth – are more reservoirs the answer to meeting future demands on water? "Few of us ever question if water will flow if we turn on our taps," he says. "Yet without further action, there is roughly a one in four chance over the next 30 years that large numbers of households will have their water supply cut off for an extended period because of a severe drought." Sir John is chairman of the National Infrastructure Commission, a body set up to provide the government with independent advice on how to cope with future demands on infrastructure. And while this year's drought has yet to bring the extreme measures introduced in 1976, when in parts of the country people were forced to fill buckets from standpipes in the street, a perfect storm of a rising population, increased personal consumption – not to mention leaking pipes – mean that such measures could be commonplace in years to come. For water regulator Ofwat, it is the latter which is the most immediate priority. Chief executive Rachel Fletcher has ordered the water companies to get their act together, saying that across England and Wales 660 million gallons of drinking water are lost through leaking pipes every day. "This drives up customers' costs and risks shortages," she adds. "We've told companies to cut losses by 170 billion litres (37 billion gallons) a year." These savings alone would be enough to meet the requirements of eight counties the size of Shropshire. Another problem, though is that the average Briton consumes 37 gallons of water a day, a 40 per cent increase compared to 50 years ago. Perhaps given the ubiquity of automatic washing machines, pressure-washers and dishwashers, this comes as no great surprise, but it is a significant increase. Particularly given that the population is set to show similar growth. During the drought of 1976, the UK population stood at 56 million. Today it is 66 million, but this is far from the end of the story: by 2040 the number of people living in the UK is expected to reach 77 million, a 42 per cent increase on what it was in the 1970s. Throw into this a Met Office forecast that average temperatures will increase by 4C by the turn of the next century, it is not hard to see why experts are concerned about how future water needs will be met. The commission calls on the government to order the industry to halve the amount of water lost due to water leaks by 2050. Each company should agree a five-year commitment with Ofwat, and should have to report on its progress to meeting these targets, the report says. More controversially, it also calls for water meters to be made compulsory, with a concerted effort reduce water consumption through the use of "smart meters." This it hopes will reduce water consumption from 37 gallons to 26 gallons a day. Most ambitious of all, though is the call to provide an extra 286 million gallons a day through the set-up of a national water network, which would be used to transport water from wetter areas in the event of a drought, and by building more infrastructure such as reservoirs and water re-use systems. If this sounds expensive, it is. The cost is estimated to be in the region of £21 billion over the next 30 years, but the commission argues that it will actually save money. If the investment is not made, it argues, an extra £40 billion will be spent on transporting emergency supplies by road or ship tankers. Sir John says that water companies have invested £140 billion over the past 30 years, but this has primarily been to meet environmental regulations imposed by the European Union. "The investment provided since privatisation has delivered some improvements to existing water supply assets, but little new supply infrastructure has been built," he adds. So what will the water companies need to do? The most obvious answer would be to build more reservoirs, which can store the water during the still frequent periods of heavy rain, for use in the event of drought. In 2014 Severn Trent Water opened a £4 million covered reservoir at Broomhall Lane, Oswestry. The report says these offer good value for large numbers of water but require large areas of land, although of course that would be less of a concern in a rural county such as Shropshire. A third option is re-using waste water, which is less energy intensive than desalination. However, waste water is less plentiful in supply than sea water, and there is also the question of public perception – people may be alarmed at the prospect of sewage being used to provide drinking water, however unfounded those concerns might be. Sir John's report says the best approach is likely to involve a combination of all of these options. 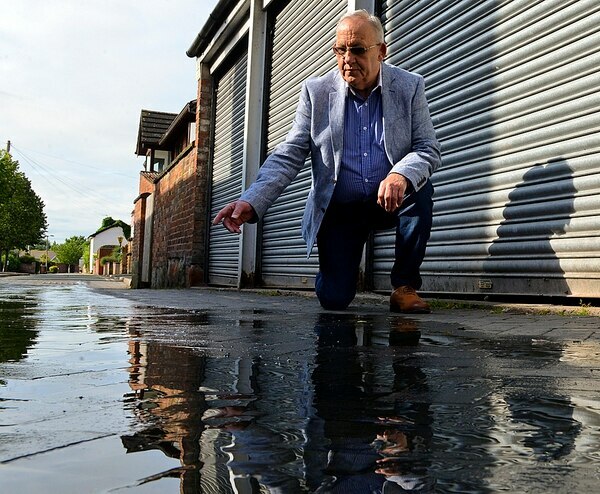 But he says the one thing that will undoubtedly benefit both the water companies and the consumer is a national network that would allow water to move about more freely. Of course, there are already irrigation schemes that move water from the wetter, rural areas of such as Wales to places of higher demand – United Utilities has an operation in Oswestry which treats water from Lake Vyrnwy on its route to Cheshire and Merseyside. But Sir John's report calls for the setting up of a national network across the length and breadth of England and Wales to ensure water can easily be moved to where it is most needed. The idea of a National Water Grid has been talked about before, but Water UK – which represents Britain's water companies – has been sceptical. "Although it is technically feasible to build such a grid in engineering terms, Water UK suggests that on economic and environmental grounds, such an option would need thorough evaluation," it said in 2012. "Unlike gas and electricity, water is heavy. Indeed, the average family of four uses water weighing about two-thirds of a ton each day. Transporting it over large distances would require major engineering investment and pumping operations that would consume large amounts of expensive energy." Sir John says while progress was made in reducing the number of water leaks following privatisation in the 1990s and early 2000s, these improvements have largely stalled. "Analysis by water companies and Ofwat suggested it would be cheaper to use more water than to reduce leakage further," he adds. "However, this did not account for the full range of benefits from saving water, including those to the environment." Severn Trent's performance in this respect has improved slightly, with the leakages falling from 29.3 gallons a day in 2011/12, to 27 in 2015/16, although this is still slightly above the industry average which has stayed fairly steady at 26.6. Sir John says there is also an important psychological message here, as well: "Leakage affects customer attitudes towards reducing their own consumption, and makes supplies less reliable." In other words customers expect the water companies to get their own houses in order before trying to conserve water.